Miluron the young Slovak winery focused on the production of fruit wine industry, which prepares special wine from wild blueberries. Miluron - young wine company was founded at the initiative of friends and acquaintances who embraced their blueberry wine produced classical and honest method. The secret of its uniqueness is based on old family recipe exceptional. Miluron Blueberries wine 2016, branded fruit wine, 0,75 l Fabulous blueberry wine in the mouth leaving a delicious taste of fruit interwoven with delicate scent of pine and spruce trees, full sun from the mountain slopes of Slovakia. 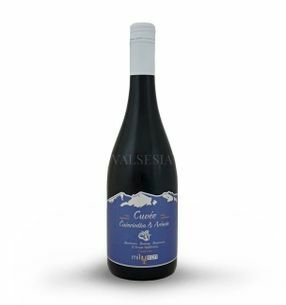 Miluron Cuvée Blueberry & Aronia, brand fruit wine, 0.75 l Cuvée Blueberry & Aron is a delicious fruity glass of wine, which blends the taste of Blueberries and Black chokeberry. 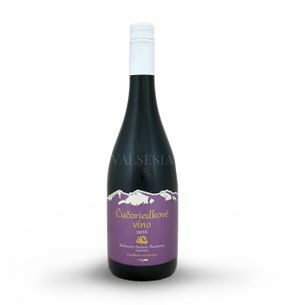 Combining these two fruits originated wine that will enchant you with deep violet color, balanced sweetness, soft tannins, while bitterish taste Aaron. Cuvée Blueberry take care of the pleasant interplay of flavors in your mouth and you uplift your body and soul.